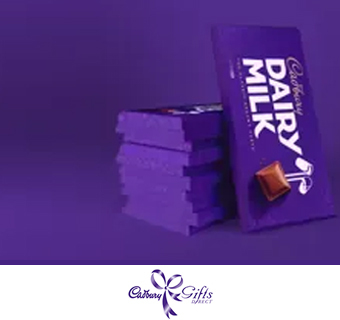 Cadbury Gifts Direct offer delectable chocolate gifts which are great to share with family and friends. The mouth-watering website provides a one stop shop for all chocolate connoisseurs. Check out their delicious range today and treat someone special to a chocolatey gift today. They have everything to suit all budgets and occasions. From hampers to chocolate and wine gift sets, Christmas tree decorations, advent calendars and giant selection boxes. If you want to make your 'chocolatey' gift more personal, you can even add a photo and name to your chocolate bar.